Sleek winter bunker: Monster Kitchen and Bar. Hotel Hotel, Canberra. Winter ushers us indoors in the hunt for warming brews and roaring fires. If you’re lucky enough to find yourself near one of these fireplace bars, get yourself warm with a good red and settle in for a yarn. While The Shed is more restaurant than bar, lingering post-dinner nursing a glass of local vino by the double fireplace is what cosy winter eves are about. Vino and a double fire: The Shed at Epicurean, Red Hill. And yes, you read that correctly, a ‘double fireplace’, as in two wood fires side-by-side, flickering away in unison, along with a wood-fired pizza oven doing its part to keep the large, shed-like space cosy. After dinner, adjourn to the generously proportioned leather couches. In Adelaide, watering holes must walk the line between sweltering summers and bitingly chilly winters. Comfort food and fire: the Bath Hotel, Norwood, Adelaide. The Bath Hotel hedges its bets with bi-fold doors that open to invite in the breeze during the warmer months and enticing log fires for when the mercury drops. Anything for that table the Bath Hotel, Norwood, Adelaide. Speaking of drops, the wine list is a South Australian-centric selection that caters to most moods and palates. Making your way through it is a worthy endeavour to occupy your time during the winter. Despite the yearly phenomenon, winter takes Sydneysiders by surprise. Warm winter weekend wind-down: Riverview Hotel, Balmain. 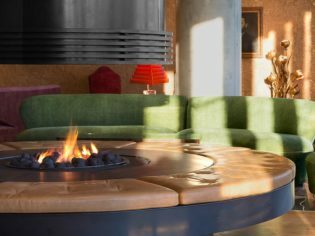 Once the penny drops, the scent of burning wood lures city dwellers to public fireplaces, such as at Balmain’s Riverview Hotel. Here many hours can be passed in snug surroundings enjoying good pub fare. A fantastic, unfussy but beautiful old hotel, the Riverview is home to locals and day-trippers waiting out the winter. Melbourne does winter pretty well. It also does wine extremely well. Put those two things together and you get Neighbourhood Wine. Great for a grey weekend: Neighbourhood Wine, Fitzroy North. While the streets of North Fitzroy whistle like the Antarctic tundra, inside this comforting, fire-warmed establishment you can spend a night sheltering from the bitter cold while sipping excellent wines and enjoying a provenance-driven menu. There’s also a Sunday roast that’s worth a look in, especially on a particularly grey weekend. This sleek winter bunker with its sophisticated 1960s touches is a chic hibernation hangout. 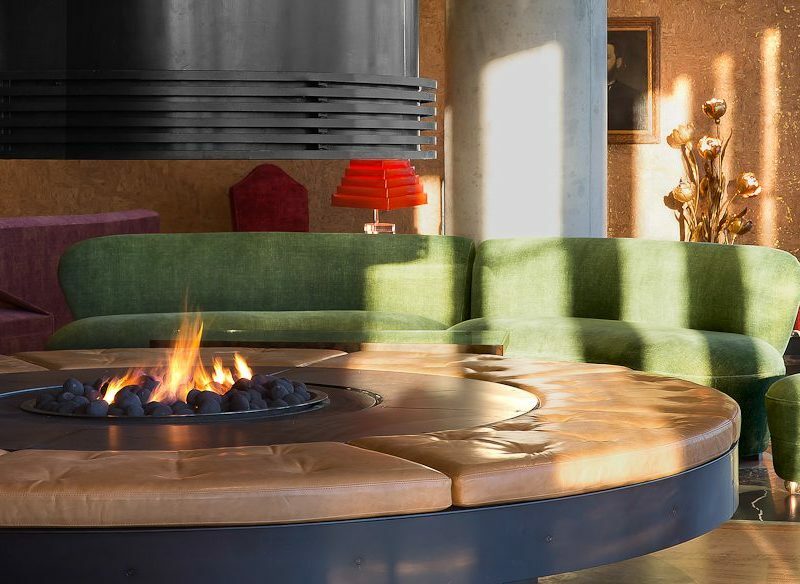 You don’t need to be a hotel guest to pop in for a drink and perch around the two gas fireplaces at Monster, as much about making an artful statement as they are keeping you warm. Abandon your coat at the door, shake that martini and make like a Bond girl or villain circa Sean Connery.